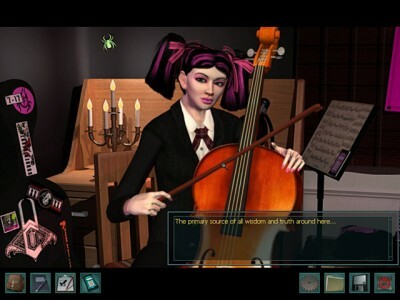 Nancy Drew: Warnings at Waverly Academy is no less than the the twenty first installment of the popular point & click adventure game series from Her Interactive. For those unacquainted with the books, games or movies or TV series, Nancy is far from your average 16 year old. She is in fact a grade A super-sleuth, think Sherlock Holmes in a mini skirt, and this latest instalment tests her powers of deduction to the absolute limit. In Warnings at Waverly Place Nancy goes undercover at a private and very exclusive all girl academy hoping to solve the Mystery of the Black Cat. Nancy must learn the identity of the insidious Black Cat as they have been sending increasingly threatening letters promising all sorts of nastiness. As the adventure begins all girls that are candidates for the valedictorian are under threat and one by one strange and underhanded things start to happen to them taking them out of the running. One is framed for allegedly plagiarizing course work whilst another somehow ingests nuts in the cafeteria despite everyone knowing that she is very allergic. On the surface that sounds pretty harmless, by modern videogame standards at least, but things suddenly turn very sinister when she goes into anaphylactic shock and almost dies. Apparently the ‘prize’ is worth the crime as the girl who becomes valedictorian will have the choice of going to the college of their choosing with a full scholarship. Acting as a fellow student Nancy must befriend each of the girls and gain their trust in order to uncover who is sending these letters and why before more misdeeds are carried out. During the Game you get to know the girls by talking to them in turn and by later interacting with your cellphone. Throughout the game you will meet many interesting, if somewhat stereotypical, characters (goth and bullied nerd present and correct) each of whom has their own reasons why they want to be the valedictorian and anyone of them could therefore be the Black Cat. These girls form tight social circles and acting as Nancy the player must use their skills and guile to be accepted, gaining trust by performing tasks or errands to help them out. These tasks help move the story forward whilst keeping things interesting and interactive. Gossip is also very hot on campus and often times you will find that you are the brunt of such talk. Text message alerts from other students will keep you ahead of the game, let you know whose dishing on who and also act as a pointer as to what might need to be done to progress. 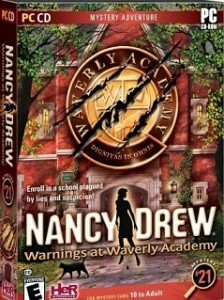 Nancy must follow the rules of Waverly Academy in order to remain undercover. First point of call is changing your name to Becca as it appears that young Nancy is quite well known, by name recognition at least. You also get given an area of responsibility with Nancy’s, um Becca’s being the school’s snack station where you are expected on duty at least once a day to avoid demerits. Too many demerits will see you expelled which basically means game over! Demerits can also be obtained by making too much noise or staying out past curfew so keep tabs on your time by looking at your cell phone. Alternately doing positive things like actually turning up for work and doing a good job or playing memory games on the library computer earn merit points. 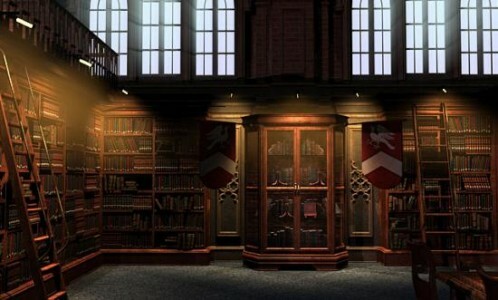 As a self confessed fan of the point & click genre Nancy Drew: Warnings at Waverly Academy doesn’t disappoint and its puzzles and challenges, from darts and building DNA molecule structures to photography and chasing squirrels are many and varied. 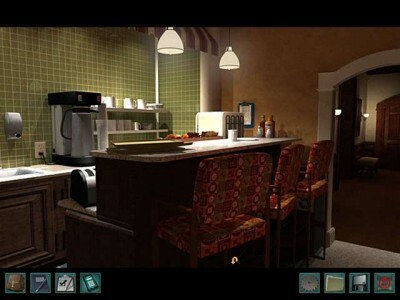 The game contains more than enough puzzles and quests to keep would-be super sleuths and ardent adventure fans busy for hours. Whilst I am new to this series and I can honestly say that this one game has made me a fan and I now look forward to trying out the other titles in the well stacked Nancy Drew back catalogue. It goes without saying that I will also be keeping a sharp lookout for future installments. 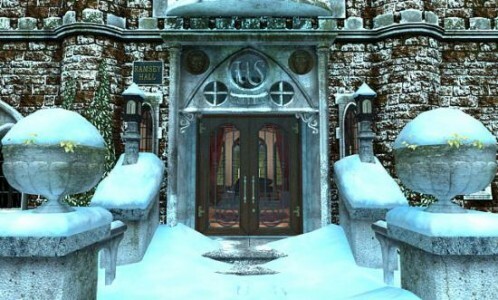 Her Interactive have done a great job with this detailed and immersive title with an easy to use interface and brilliant voice acting helping to make the story even more appealing with perhaps the only only negative being that the locations can become a touch repetitive as you never really step outside the school grounds. Overall Nancy Drew: Warnings at Waverly Academy is a fine example of the point & click genre at it’s absolute best and I thoroughly enjoyed playing this game to it’s conclusion.